Most apples come into season around Sept./Oct., but the early varieties actually start ripening in August which means it’s officially APPLE SEASON! Apples are one of my favorite things to eat and bake so I love this time of year.. We had an apple tree at our old place so I normally have an abundance of apples to preserve and cook, but since we moved I’ll have to buy them. I plan on planting a few apples trees soon so that one day we will have homegrown apples again. 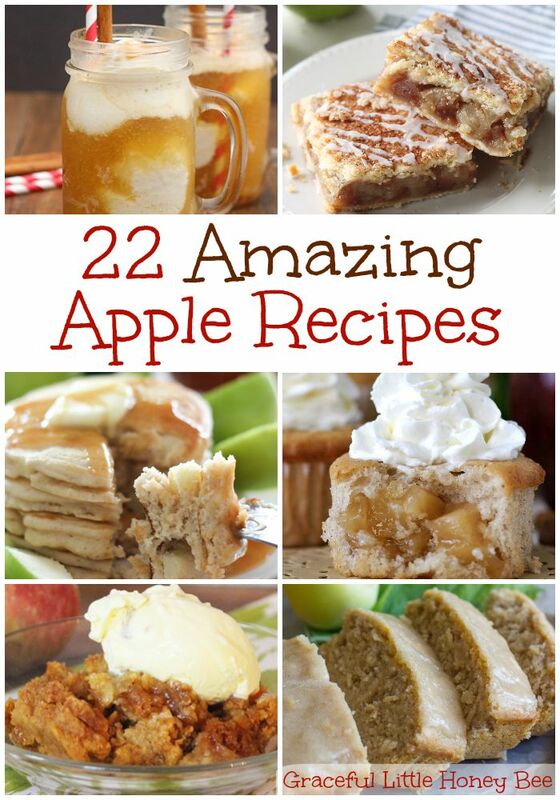 I hope this lists helps you make some amazingly delicious apple dishes. Enjoy! Apple Cider Floats – What’s Cooking Love?